How much food can you grow in Newcastle city centre? How much land is available? What would it look like? 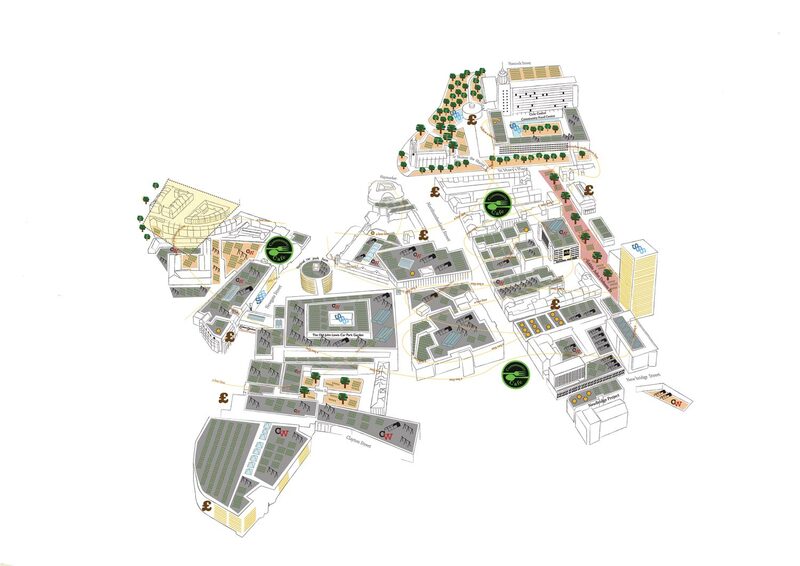 Mikey Tomkins has created a new map outlining the potential spaces for food growing in the central area of Newcastle. As part of our Urban Organisms project, Mikey Tomkins invited residents to take a walk through Newcastle, exploring how the current city centre could be transformed to support multiple food growing practices, including aquaponics, beekeeping and vegetable growing. As an aid, Mikey has created an ‘Edible Map’ of Newcastle, which depicts examples of urban agriculture, amongst its rooftops and open spaces. The Edible Map is used to engage with residents as participants, in imagining Newcastle as an edible urban landscape a place where food growing is an everyday occurrence. Mikey Tomkins works as an academic researcher, artist and consultant in the field of urban sustainability and urban agriculture. His PhD researched food growing in community food gardens on London housing estates and currently, he is working as a consultant in the US and Uganda, developing urban agriculture projects in under resourced communities, specifically refugees. Previously, he worked for Sustain as a project officer, developing community beekeeping in the London as part of the Capital Growth food gardening project. He has developed the Edible Map project to help bridge the divide between academic and policy work around food and cities, and the everyday lived experience of cities from the viewpoint of the resident. Edible Food Walks form part of the events programme for Urban Organisms, a project that examines and creatively explores food sustainability in cities.